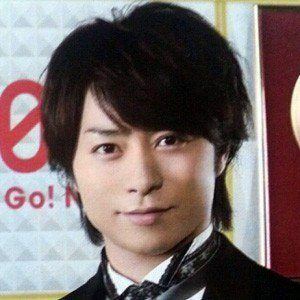 Hip hop artist and actor best known as a member of Japanese boy band Arashi. He won GQ Japan's Man of the Year Award in 2009. He signed his first performing contract with Johnny & Associates at age thirteen. He won Best Actor Honors at the 21st Annual TV Life Awards in 2012. He has a younger sister and a brother. He co-starred in the 2011 series Nazotoki wa Dinner no Ato de with Keiko Kitagawa .